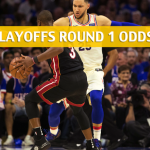 The Philadelphia 76ers (-360 to win the series) finally played like the favorites that they are in the series against the Brooklyn Nets as they hammered their fellow Atlantic Division team in Game 2. 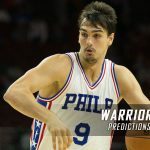 Will the Sixers make it two in a row? Or will Brooklyn (+280) get a win during the return of playoff basketball to Barclays Center? The 76ers didn’t give their home fans any reason to rain down boos on them in Game 2. How can they? 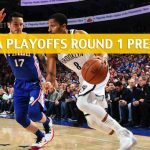 The Sixers played a masterful game on Monday to even the series up with the Nets in a 145-123 win. 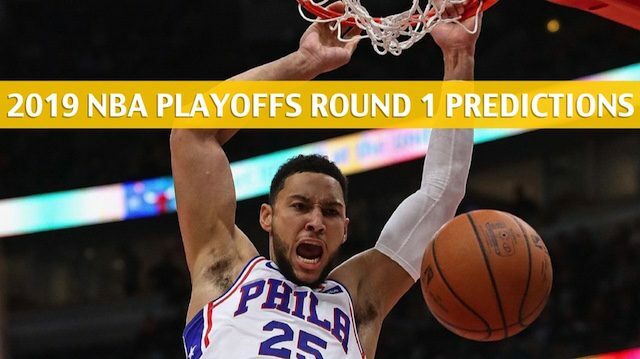 It was the highest total points output in franchise history in a playoff game, and Philly is definitely hoping it could bring that kind of offense into Brooklyn in Game 3. Joel Embiid was more efficient on offense this time around, scoring 23 points on 8-for-12 shooting from the field and grabbed 10 rebounds. He was a force inside, leading the Sixers’ paint dominance, as evidenced by Philly’s 62 points in the shaded area to just 48 by Brooklyn. 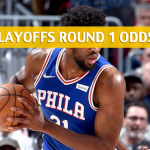 There’s no one from the Nets who can stop Embiid on a single coverage, so expect the Sixers big man to throw his weight around down low in Game 3. That can be made a lot easier too for him if the Sixers keep on hitting their outside shots. The Sixers are shooting 35.9 percent of their shots from deep in the series thus far. The over is 3-1 in the Sixers’ last four road games. Although they got massacred in Game 2, the Nets still accomplished part of their mission in the series: win at least one game in Philly. Which they did with a 111-102 victory in Game 1. Now, it’s their time to host a playoff game for the first time since Brook Lopez last roamed the court as a Net. 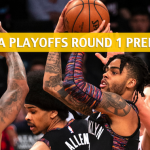 Brooklyn needs D’Angelo Russell to recapture his Game 1 form in which he had 26 points on 10-for-25 shooting from the field. He had a letdown performance in the next game, scoring just 16 points on 6-for-16 shooting. 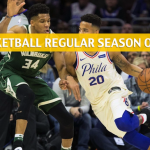 The Nets were victimized by a huge third-quarter from the Sixers, who set a franchise record with 51 points in the third frame of the ball game. Brooklyn needs to be more consistent with its play on both ends of the floor to take away chances for the Sixers to break away. One thing that’s going to make Brooklyn float in this series is its outside shooting. The Nets have made 26 3-pointers on 41.9 percent shooting so far in the series. The under is 7-3 in the Nets’ last 10 home games.